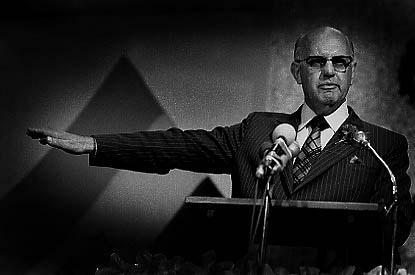 PW Botha, one of the staunchest apartheid advocates and ex-prime ministers/presidents of South Africa, has popped his clogs at the ripe old age of 90. Not a bad innings. I don't remember much about this guy other than he was the head of state in South Africa for the first 10 years of my life, and I remember seeing him bellowing and wagging his finger on TV. But one thing I do know: whether you love him or hate him, he has played a part in South Africa's colourful history, and thanks to the likes of him and his cronies, apartheid must be the most well known Afrikaans word after aardvark.